Fast check in & check out. Friendly staff. Comfortable room. Great location. Many restaurants around including Welcome Seafood and Borenos Fried Chicken (24 hrs). Coin operated laundry and 24 hours shop nearby. Ample parking space. 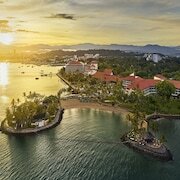 Couples looking to get away will find a romantic atmosphere in Kota Kinabalu, and visitors give high marks for the bustling marina and shopping. This city also attracts tourists with its parks. Top sights in the city include Sabah State Mosque, Likas Stadium, and 1 Borneo Hypermall. The city's natural setting is picturesque, including the parks and these places to visit: KK Esplanade, Signal Hill Observatory Platform, and Kota Kinabalu Wetlands Centre. Shopping is one of the favorite things to do, so consider an excursion to 1 Borneo Hypermall, Centre Point, and Local Fruits Market. Boating is one of the top activities, while Jesselton Point Ferry Terminal, Sutera Harbour, and Borneo Golf and Country Club are favorite sights to visit. 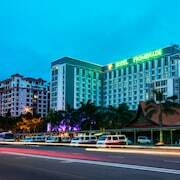 Borneo Coastal Residence - IMAGO Mall - Guests who stay at this 3-star apartment in Downtown Kota Kinabalu can enjoy access to 2 outdoor pools and free parking, along with an in-room kitchenette. It's a favorite with Expedia travelers for its pool and helpful staff. 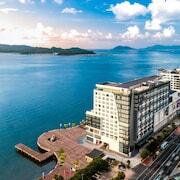 Hilton Kota Kinabalu - Our customers like the dining options and pool at this hotel. 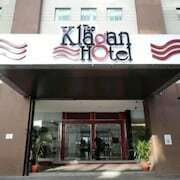 This 4.5-star hotel in Downtown Kota Kinabalu features 2 restaurants, an outdoor pool, and a 24-hour fitness center. 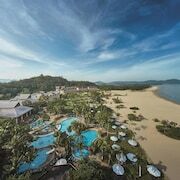 Shangri-La's Rasa Ria Resort & Spa - This 5-star resort features 2 outdoor pools, a full-service spa, and a golf course. 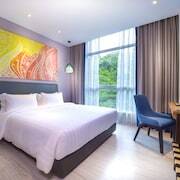 Expedia customers like its quiet location and comfortable rooms. Other favorite sights in Kota Kinabalu include Sabah State Mosque, Likas Stadium, and Lok Kawi Wildlife Park. With so many ways to get around, exploring all of Kota Kinabalu is a breeze. To see more of the larger area, hop aboard a train at Tanjung Aru Station. You can find out about your water travel options at the local marina. 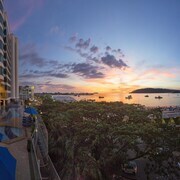 Explore Kota Kinabalu with Expedia.com.tw’s Travel Guides to find the best flights, cars, vacation packages and more!